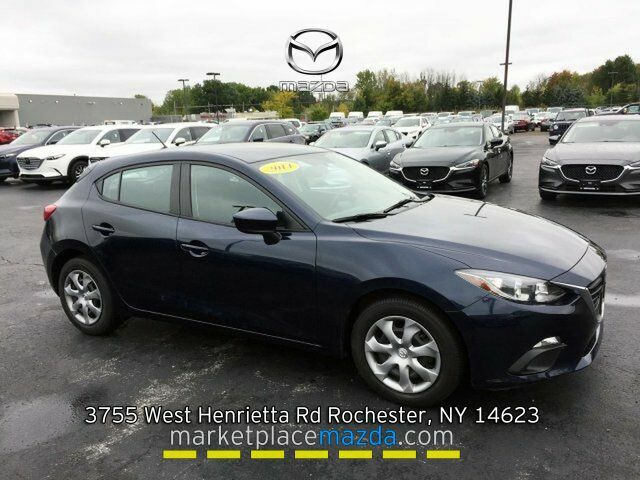 *Steering Wheel Audio & Phone Controls, Side Impact Airbags, Cruise Control, Fog Lamps, Traction Control* Well-Maintained 2014 Mazda3 i Sport! Steering Wheel Audio & Phone Controls allow you to change a station or answer a phone call without taking you hands off the wheel! Cruise Control becomes your favorite option anytime you're on the highway! The Auxiliary Audio Input allows you to connect your MP3 or smartphone for crystal clear sound! Have Questions? My name is Taylor please contact me directly at (585) 797-3282 to confirm availability as multiple vehicles are sold daily.